Discover the difference between the most popular door styles offered by Wellborn Cabinet. When deciding on new cabinetry for your kitchen, an essential first step is deciding on the style of your cabinet doors. 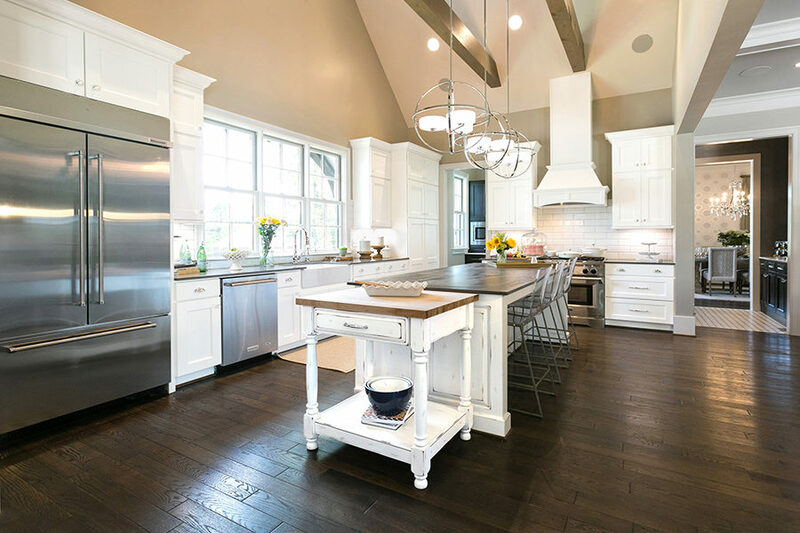 Wellborn offers various styles, fitting of any design trend, but our most popular door styles are Hancock, Bishop, and Prairie which all complement the Shaker styling, with their own unique features. Investing in Wellborn’s high-quality cabinetry saves homeowners the trouble of having to pour more money into your kitchen replacing low-quality cabinets. 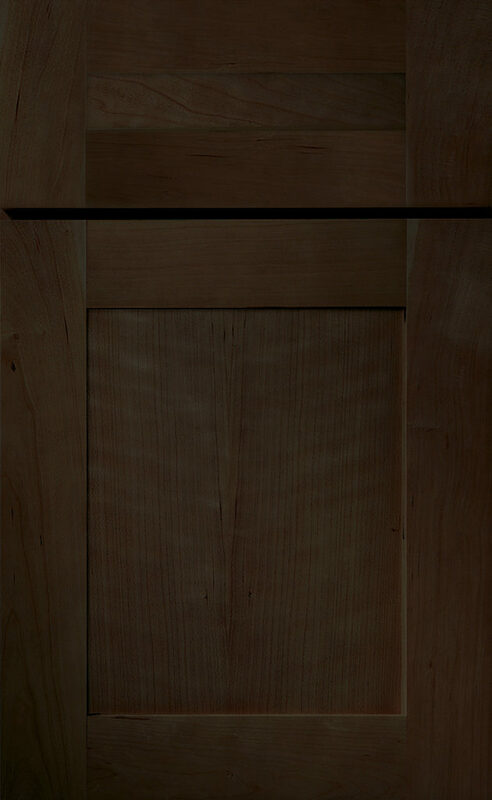 Our Hancock door style is our most popular door style as it offers a more relaxed-Shaker design style. 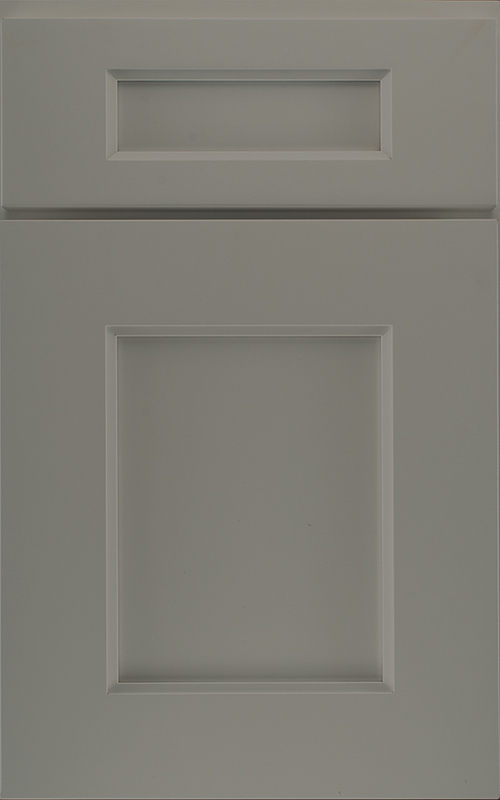 With its softened Shaker design, Hancock doors are capable of working with many of today’s favorite interior design styles. Whether you are working with an ultra-modern bathroom, a craftsman-inspired kitchen, or a country chic design aesthetic Hancock doors can be easily added to your plans. Following current design trends, Hancock’s most popular finish is our Glacier paint, which provides the perfect canvas for a traditional white kitchen cabinetry design. View room galleries containing our Hancock door style. Approaching a more transitional design style, Bishop has risen to popularity due to its crisp, clean lines. This door style features a streamlined profile, simple paneled doors, and sleek hardware. Bishop’s most popular finish is our Dove paint, a soft, light gray painted finish. 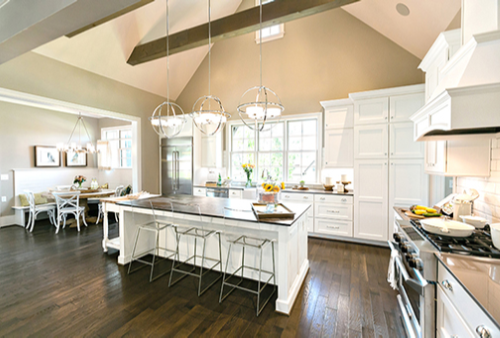 Simple and neutral are the two terms that are booming in the kitchen and bath industry and Bishop with Dove paint is just that. View room galleries containing our Bishop door style. With the recent rise of the Shaker styling, Prairie is the answer to all Shaker-inspired kitchens. 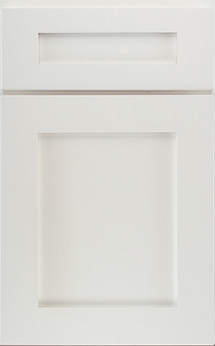 It is a true shaker door due to the clean lines of the recessed-panel and wide-frame design. Prairie’s most popular finish is a warm brown stain known as Drift. The Drift stain highlights the doors natural features while staying in alignment with current trends. 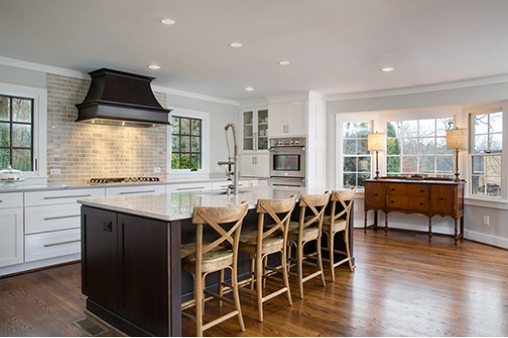 Prairie is the focus of many kitchens because of its minimalist layout and sharp squared edges. View room galleries containing our Prairie door style. While the above door styles help showcase Wellborn’s popular options, there is something for everyone at Wellborn. 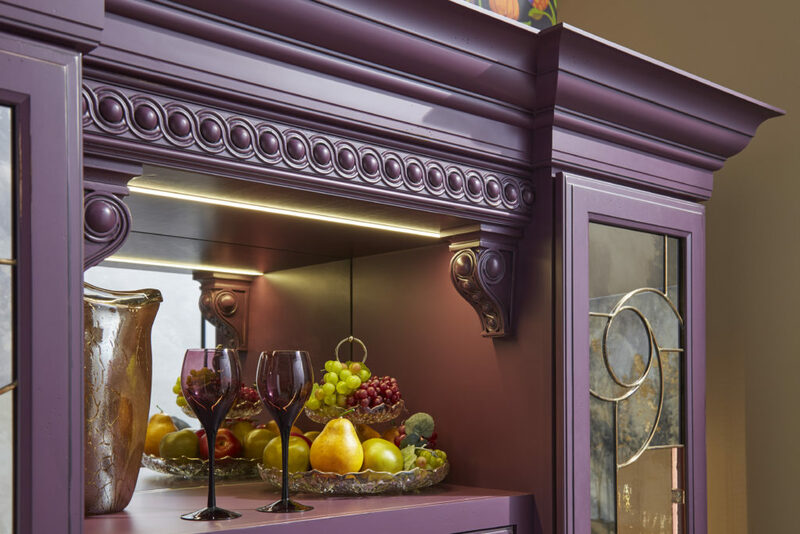 Our ColoInspire program can accommodate any painted finish from a purple entertainment hutch to a mint master bath/closet and our Aspire melamine options offer high-gloss acrylic finishes. 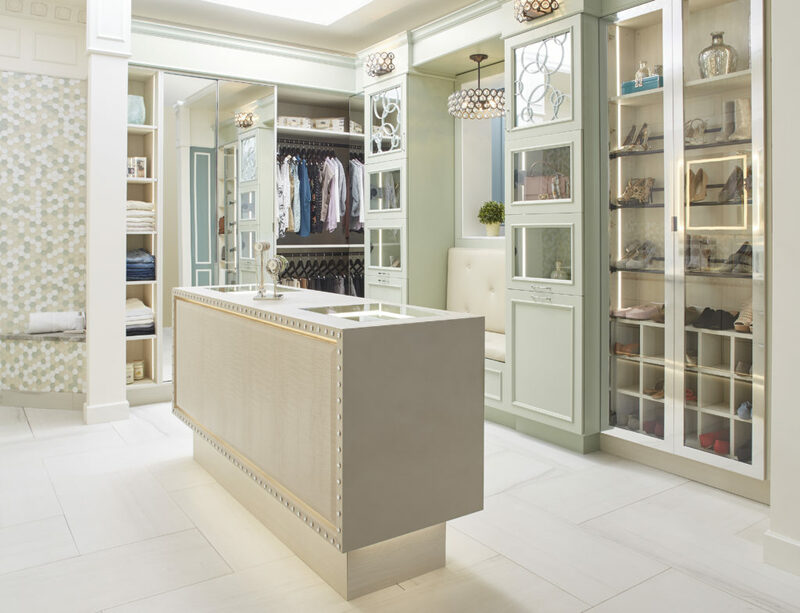 The possibilities are endless at Wellborn Cabinet. Click here to find a dealer nearest to you. Visit wellborn.com to see everything we have to offer.